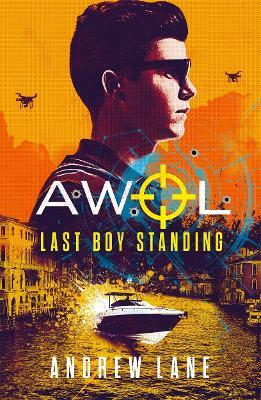 Young Bond meets Alex Rider and Cherub in this brilliantly written, fast-paced spy action thriller. All credibly delivered from somebody who knows all about counter-intelligence... Special Agent Bex arranges to meet teenage Kieron in a cafe to tell him that she can't risk his life any more. She parks her car and seconds later it blows up, scattering flaming wreckage everywhere. Bex needs to grab Kieron and get him out of danger's way- but his friend Sam is also in the cafe. He had followed Kieron to find out what secrets he was keeping from her. Bex has to take Sam and Kieron back to her flat, but just as they get there it too explodes. Someone is trying to kill them, but whoever it is doesn't know about Kieron. That may be their only saving grace. But how were the explosions managed? And who wants them dead? High-octane action and fast-paced adventure - guaranteed. Andrew Lane is a popular and much-loved writer for teens and young adults. He is the author of the Young Sherlock Holmes series, which has been published in forty-four countries. He has also worked extensively in the extended universe of BBC TV's Doctor Who, and has written three adult crime novels under a pseudonym. Before becoming a writer, Andrew spent twenty-seven years working for the Ministry of Defence on the fringes of the Intelligence and Counter-terrorism communities. He has been inside several classified intelligence headquarters in the UK and US (and not as a tourist).